The Republic of Liberia is a country on the west coast of Africa. Liberia’s population is estimated at 4.4 million in 2014. This compares to the 2008 census population of 3.47 million. Of this last official population, 1.1 million people lived in Montserrado County, which is the most populous county and home to the capital, Monrovia. The Greater Monrovia area is home to about 25% of Liberia’s population. The next most populous area is Nimba County with about 500,000 residents. Liberia has a population density of just 35 people per square kilometer, which ranks 180th in the world. The Faroese Children’s Aid appointed Hilda Maria Videroe as the director over our work in Liberia. 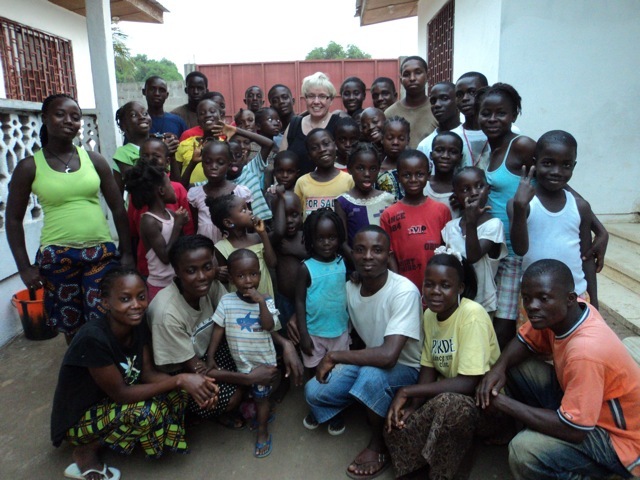 The Faroese Children’s Aid i is supporting 88 children and youths in Monrovia.